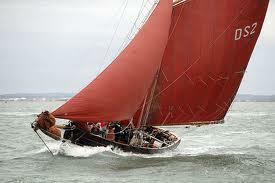 Jolie Brise is the world famous 1913 gaff pilot cutter. Three times winner of the Fastnet Ocean Race, two times overall winner of Tall Ships Races. Jolie Brise is owned, maintained and sailed by Dauntseys School.